Bobby Eugene White, 85 of E. Main Street, Shelby passed away, Thursday, February 7, 2019 at Abernathy Laurels in Newton. Born April 18, 1933 in Cleveland County, he was the son of the late William Howard White and Vernie Proctor White. He was retired from Celanese and Doran Textiles. 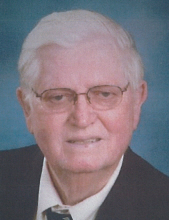 Mr. White was a member of Kistler's United Methodist Church. He served in the US Airforce and was a Master Mason, a Shriner and a member of the Eastern Star. In addition to his parents, he was preceded in death by his wife, Nellie Dean Page White. Survivors include two sons, Bobby White, Jr. and wife, Kathy of Greensboro and Mark White and wife, Donna of Boiling Springs; a daughter, Melinda Daves and husband, Duane of Hickory; a sister, Betty Mauney and husband, Jack of Shelby; seven grandchildren, Julia Page and husband, Devin, Bradley Collins and husband, Will, Brooke Kensmoe and husband, Jacob, Cameron Wood and husband, Joseph, Chelsea White, Megan White and Trent White; 7 great-grandchildren, Allyson Page, Jackson Page, Sophia Wood, Remington Wood, Matthew Kensmoe, Hailey Kensmoe and Ryan Kensmoe. Visitation will be 6:00 PM to 8:00 PM, Friday at Stamey-Tysinger Funeral Home. A funeral service will be 1:00 PM, Saturday at Kistler's United Methodist Church with Rev. Keith Sherrill officiating. The body will be placed in the church thirty minutes before the service. Memorials may be made to Kistler's United Methodist Church, c/o Bryan Turner, 860 Elam Road, Lawndale NC 28090. To send flowers or a remembrance gift to the family of Bobby Eugene White, please visit our Tribute Store. "Email Address" would like to share the life celebration of Bobby Eugene White. Click on the "link" to go to share a favorite memory or leave a condolence message for the family.